Six tourist offices in Normandy have created a new ‘Secteur Mythique’ in Normandie. 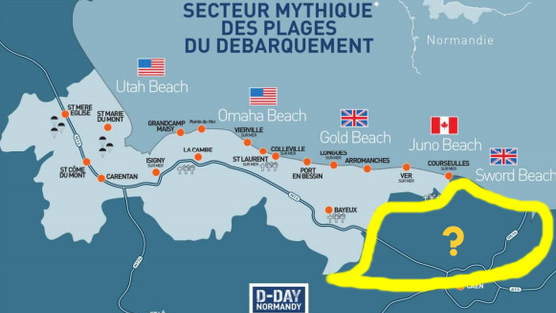 This includes all the beaches and inland landing zones, except for the British parachute landing sites and Sword Beach. Of course it’s all about money in Normandy. A lot of bunker complexes are turned into ‘museums’. With no knowledge whatsoever about the Atlantikwall most of the time. Now there’s the idea of ‘Mythical sector’, made up by six tourist offices, where the British sector is not included. The tourist office isn’t about history, but about tourism of course. But ideas like this will effect the perception of history in the future. Sign the petition, just to send a reminder of history to these tourist offices. And visit the British sector, it’s one of the most beautiful areas of Normandy too!